Get blown away by this awesome envelope filter, and sport your love of EarthQuaker on your chest. Howdy, space cowboys and cowgirls! Saddle up on the EarthQuaker Spatial Delivery Envelope Filter with Sample & Hold! 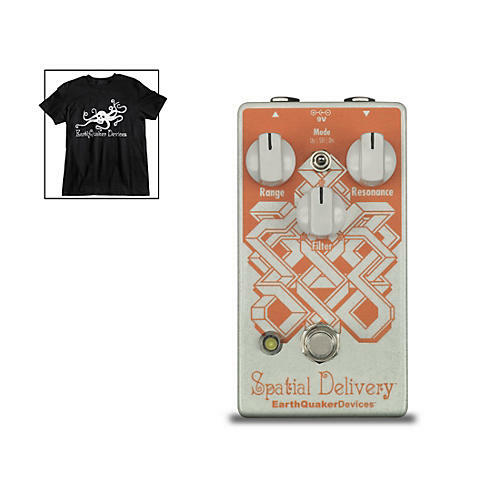 The Spatial Delivery is a voltage-controlled envelope filter that’ll help you explore the final frontier of funk while reinforcing your secret love affair with auto-wah. And it does Sample & Hold. Wild, right?